I am a professor of ECE, a professor of CS, and director of the Center for Wireless Information Network Studies (CWINS). My laboratory, the first of its kind in the world, specializes in radio propagation study for the design of algorithms used in wireless networks. Beginning in 1985 we applied our research to the design of wireless local and personal area networks and since the mid-’90s to wireless localization applications. My passion is in innovation and entrepreneurship and my students and I have been involved in a number of leading-edge start-up companies. I like to work closely with my students and colleagues and share my entrepreneurship and life experiences with them. My lifetime hobbies have been reading philosophy, ancient history, psychology, and poetry; playing volleyball and tennis; listening to music; and dancing. I have taken at least one of these hobbies seriously in one of the stages of my life. I would love to discuss poetry, philosophy, psychology, and ancient history with the experts and the ordinary people. I have won a number of trophies and titles in sports. I listen to music before I sleep, and now that our children have grown up, my wife and I have taken a variety of ballroom dancing lessons for many years. 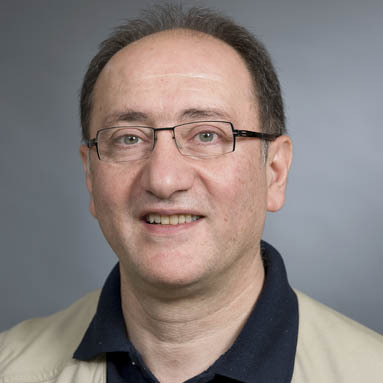 Medium interviewed Kaveh Pahlavan, professor of electrical and computer engineering and director of the Center for Wireless Information Network Studies, as part of its Iranian Americans’ Contributions Project.